Mauritius banknotes, Mauritius paper money, Mauritian rupee banknotes, Mauritius paper money currency collection. Obverse: Portrait of the young Queen Elizabeth II wearing the regalia of the Order of the Garter from a painting by Pietro Annigoni at right. Coat of arms of Mauritius. 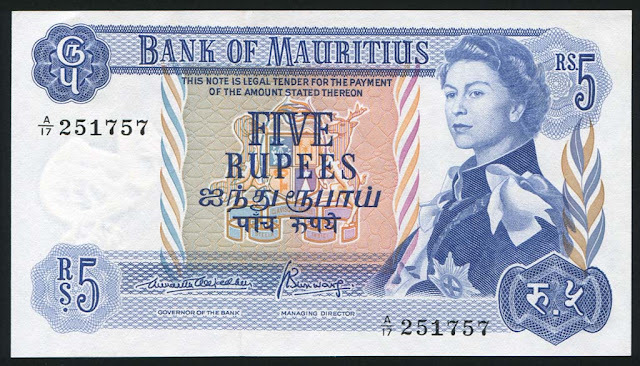 The value of 5 Rupees written in English, Tamil and Hindi. 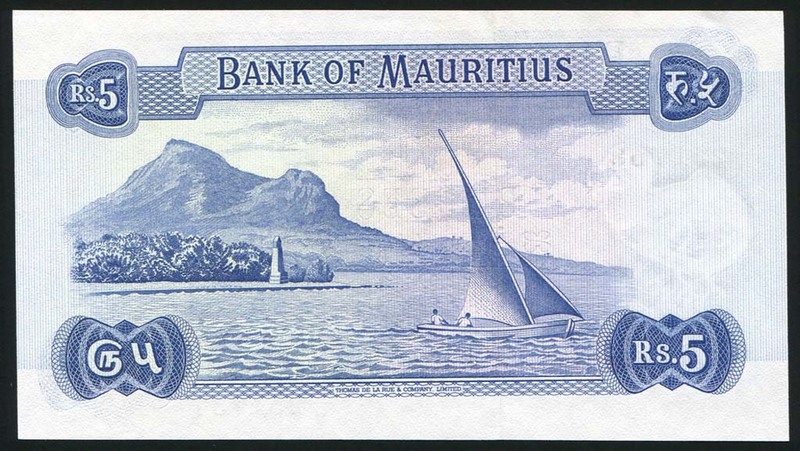 Reverse: Regatta of Pirogues with sails in Mahebourg over Lion Mountain - Two men in a Mauritian pirogue sail boat. They are copy of lifeboat of French vessel in the 18th Century. They are also very famous for Mauritian Regata that took place ever year in the four side of the island.